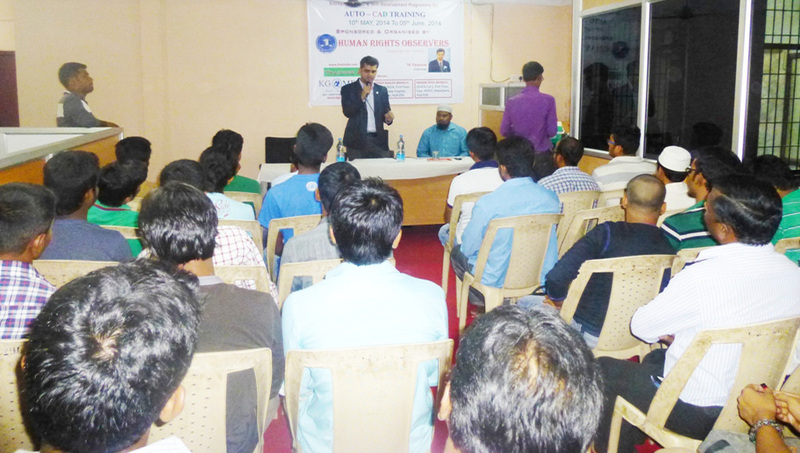 June 29 2014, – Mr. Tameem in his presidential remarks said that the HRO has been providing free skill development training since past three years to the youth irrespective of caste and religion so that they can obtain good employment in the country and abroad. He said that our youth are our national asset and promoting them is our national duty. Sri AbidRasool Khan Chairman AP State Minorities Commission while appreciating the efforts of the Human Rights Observers he said that youth trained in Entrepreneurship & skill development program could get suitable employment in the country and abroad. He said that several industrial and commercial organisations are in search of talented youth. He promised to provide necessary guidance in the matter of placement to the youth. 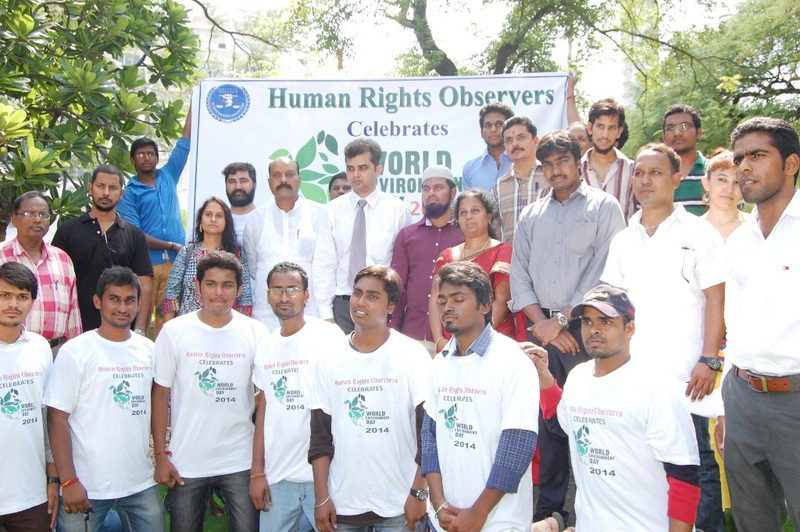 June 05 2014, – Speaking on this occasion of United Nations world environment day at Hyderabad press club Mr. Tameem Chairman of Human Rights Observers said in urban areas 70% pollution is caused by increasing number of vehicles. He disclosed that a survey conducted by HRO revealed that in India over 7.27 lakh persons die due to diseases caused by air pollution. Air pollution is the world’s largest single environmental health hazard. By reducing air pollution millions of lives could be saved world over, he said. Human Rights Observers has focused on how to improve the quality of air and effluent & solid waste management in Industries and Hospitals. HRO has initiated several workshops to fight the air pollution in Hyderabad. Sri M. Jagdeeshwar IAS Transport commissioner of Telangana has said that the major cause of the Air pollution in the urban areas is the increasing number of vehicle and due to which the citizen particularly the aged and the children are becoming victims of various diseases. He said that there are 74 lakhs vehicles in Telangana state out of which 54 lakhs are two wheelers. He advised the vehicle owners to pay attention on regular maintenance of their vehicles. He said that the people’s awareness program should be launched from the NGOs against the Air pollution. 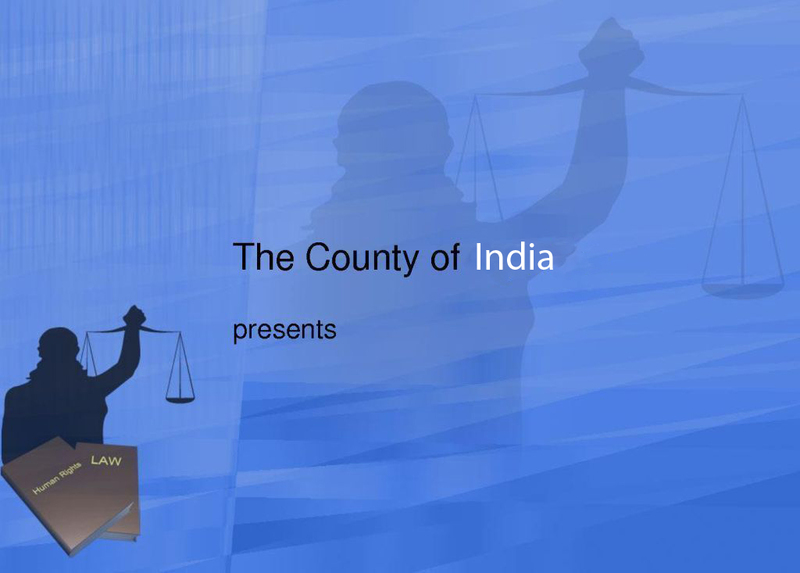 Justice A. Lakshman Rao former chief Justice lamented on increasing pollution and said that due to this menace the people have to suffer fatal diseases like Diabetis, BP and heart diseases etc even in small age of 40. No item of human consumption is free from pollution. 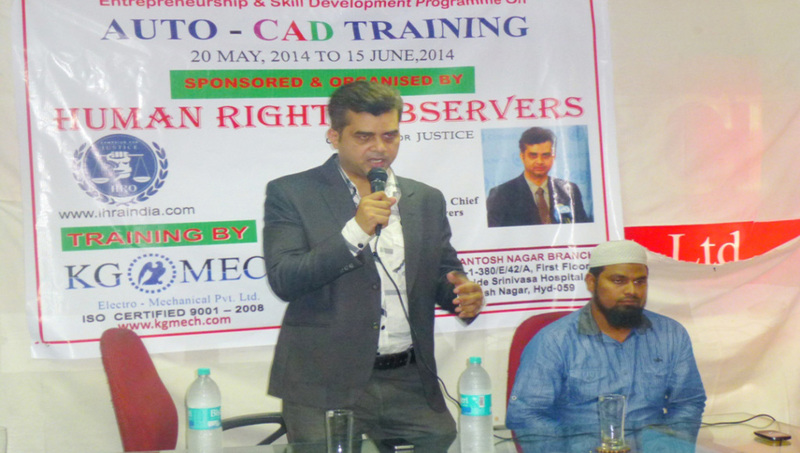 May 20 2014, – Human Rights Observers has started second batch of Free Auto CAD training programme under collaboration with KG Mech. at Masab Tank, near NMDC. 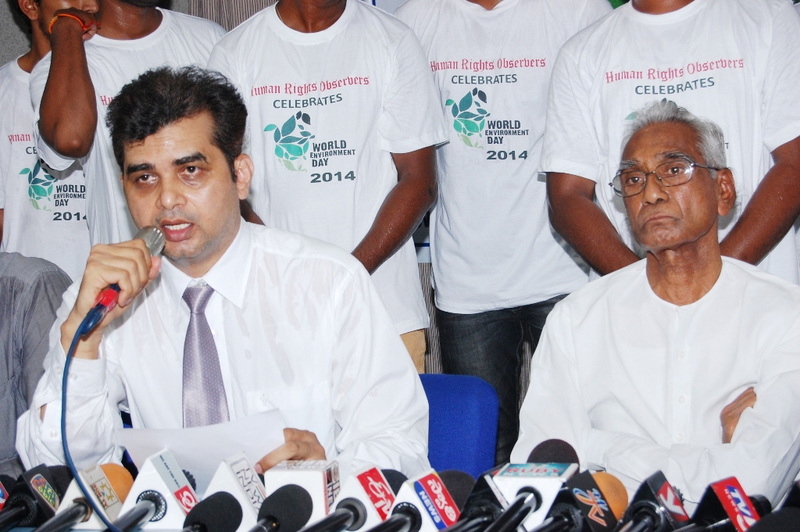 Sri Tamim Chiarman of HRO inaugurated the course programme. He asked the students that instead of searching for the best institutions and the best teachers they must try to become the best students, as only the best students could achieve something in the life. He asked the students to show respect to the course they are pursuing and to the career they are adopting, in the sense that they must follow discipline and dedicate to the demands of the study or the profession. Sri Tameem further said that it was the Endeavour of the HRO to provide free training to the youth in some good job oriented courses. So far HRO had organized several such programmes and the beneficiaries are well placed in India and abroad. He further said that the HRO will very soon start training programme in various districts and it planned to benefit at least 1000 students. He said the Auto CAD course is in much demand both in the country and abroad with the efforts of the HRO thousands of the youth are making a respectable income and supporting their families. The HRO is conducting such training programmes every summer holidays without any assistance or help from the government or any other agency, he said.